The smaller Buddha of Bamiyan before (left picture) and after destruction (right). UNITED NATIONS, Mar 11, 2011 (IPS) – Afghanistan’s historic Bamiyan Buddhas, destroyed by the Taliban 10 years ago, will not be reconstructed despite claims the 1,500-year-old statues could be repaired, the United Nations Educational, Scientific and Cultural Organisation (UNESCO) said Thursday. The decision follows a two-day meeting of scientists, Afghan officials and donors in Paris last week. While the expert panel was split on the possibility of reconstruction, UNESCO has told the Afghan government it does not support a rebuild project, citing concerns over funding priorities and authenticity. Replicating the colossal monuments, which once stood 55 and 38 metres tall, could cost between eight and 12 million dollars. However, less than half of the original stone used to build the statues remains. “We think any reconstruction will essentially be a fake because of lack of original material,” UNESCO’s assistant director-general for culture, Francesco Bandarin, told reporters at a special conference in New York. “We have to think of the public, and they don’t need to see a fake, they need to see the reality. And these statues have been destroyed. As much as we mourn that they have been destroyed it’s an historical fact,” he added. The Bamiyan Buddhas, dating from the sixth century, were bombed in 2001 as part of the Taliban’s campaign to rid Afghanistan of pre-Islamic structures. While much of the statues was reduced to dust, a group of German scientists, led by Professor Erwin Emmerling of the University of Munich, has said the smaller of the two could be restored. The scientists have spent years studying the Buddhas, by analysing the hundreds of exploded fragments currently stacked in warehouses in the Bamiyan Valley. According to Emmerling, a reconstruction project could be feasible using the original stone, but there would be practical considerations. Either a small factory would have to be built in the valley, or the 1,400 rocks weighing up to two tonnes each would need to be transported to Germany. The scientists’ proposals, however, have not been accepted by Afghan President Hamid Karzai and his government, which has indicated it will not go ahead with restoration. The decision has drawn strong criticism from Afghanistan’s Hazara community, a minority ethnic group that claims a long association with the Bamiyan Valley and views the Buddha statues as a source of pride. The international advocacy organisation Hazara People said the consensus to not rebuild was “shameful”. The group believes the decision is politically influenced and reflects the continued discrimination against Hazara peoples in Afghanistan. “We are not surprised the Afghan government does not want to rebuild the Bamiyan Buddhas,” a spokesperson, who did not want to be named, told IPS. 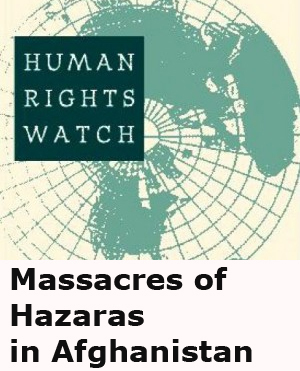 Hazaras have long faced violence in Afghanistan, suffering genocide, slavery, and forced displacement under a series of governments including the Taliban. And while the ethnic group is predominately Muslim, their East Asian appearance bears a resemblance to monuments such as the Bamiyan Buddhas. The group rejected the argument that there was a lack of funding for restoration, pointing to the Karzai government’s recent willingness to financially support the reconstruction of Pashtun poet Rahman Baba’s bombed shrine in Pakistan. While acknowledging there was desire to see the Buddhas rebuilt, UNESCO believes priority should now be placed on preserving the wider Bamiyan Valley, a World Heritage-listed site containing treasured Buddhist art and monastic caves dating to the first century. The organisation, which has already conducted extensive consolidation of the ancient niches where the statues once stood, has called for construction of a central museum in Bamiyan, in addition to smaller site museums within the area. “The priority now is creating the capacity to conserve what is there and ensuring the security of the site, in order to have it open for tourism,” Bandarin said. Posted by Omid Jafari on Mar 11 2011. Filed under Afghanistan, Hazarajat. You can follow any responses to this entry through the RSS 2.0. Responses are currently closed, but you can trackback from your own site.